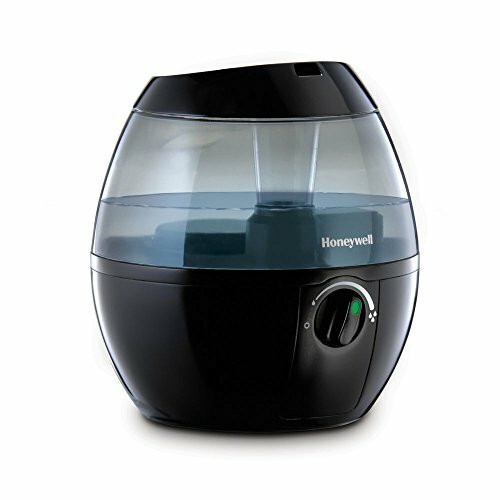 Dry air and irritating illnesses mean it's time to invest in a humidifier. The Honeywell Mistmate Ultrasonic Cool Mist Humidifier offers you an ideal option for rooms up to 218 square feet, raising the moisture level so you can breath easy. A quiet operational volume means you can get some well-needed rest while the humidifier does its job. The large tank makes filling and cleaning the unit easy. No filters are used. The unit has a simple toggle that allows for a wide variety of mist intensities. 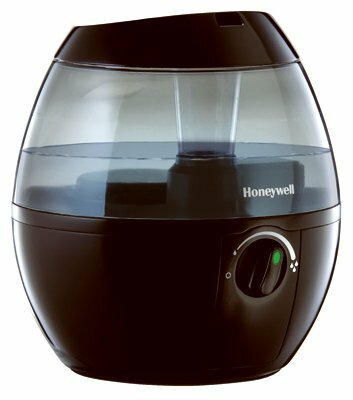 The output of this humidifier is always cool, crisp, and clean. Dimensions: 9.5L x 9.1W x 10.30H in.. Ideal for single-room use. No filters to clean. A variety of moisture settings. Quiet operation with a large tank. Manufacturer's limited 2-year warranty.